Last week Digital.Bodleian reached 700,000 images with the help of Mary Shelley’s Frankenstein notebooks. These have been accessible online at the wonderful Shelley-Godwin Archive for some time now, complete with transcriptions, TEI markup and detailed explanatory notes, alongside other manuscripts from Mary Shelley, Percy-Bysshe Shelley, and William Godwin. Porting them to Digital.Bodleian is not intended to replace this brilliant resource, but it helps with the Bodleian’s mission to improve the discoverability of our online resources. It also lets users do a few extra neat things with the images. Bodleian MS. Abinger c.57, fol. 23r. 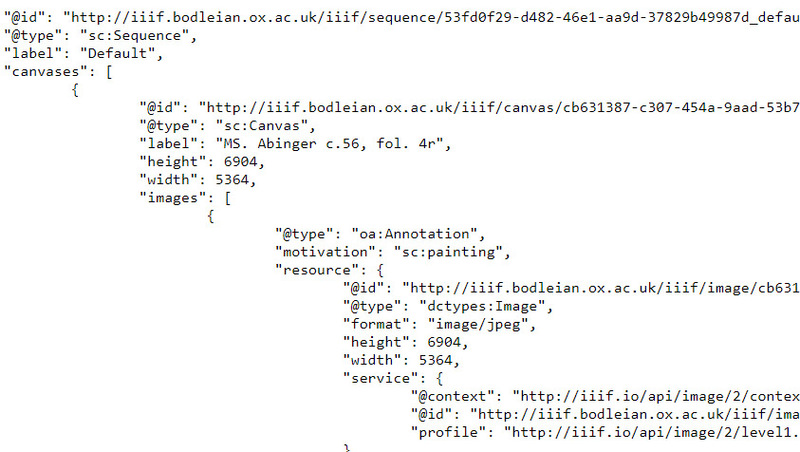 Everything added to Digital.Bodleian receives a IIIF Manifest. This means the image sets and accompanying metadata are expressed in a rich, flexible format conforming to a shared API standard. IIIF tools exist for manipulating and comparing, as well as viewing, digital images. This comes in handy for the Frankenstein notebooks (properly called MS. Abinger c.56, MS. Abinger c.57 and MS. Abinger c.58). At present they are fragmented, and the ordering of the pages in the Draft notebooks (MS. Abinger c. 56 and c.57) is different to the linear order of the novel. Using IIIF tools, we can easily work with the notebooks side-by-side, and remix the ordering of pages to fit the novel’s sequence. The Mirador viewer, created by Stanford University with the help of the Andrew. W. Mellon Foundation, lets us quickly and easily view multiple IIIF-compliant image sets alongside each other. We’ve created an instance with the Frankenstein notebooks ready-loaded side by side. Bodleian MS. Abinger c.56, c.57 and c.58 viewed in Mirador. The Bodleian’s Digital Manuscripts Toolkit, also funded with help from the Andrew W. Mellon Foundation, includes a Manifest Editor. This lets us remix and combine IIIF-compliant image sets into new sequences. 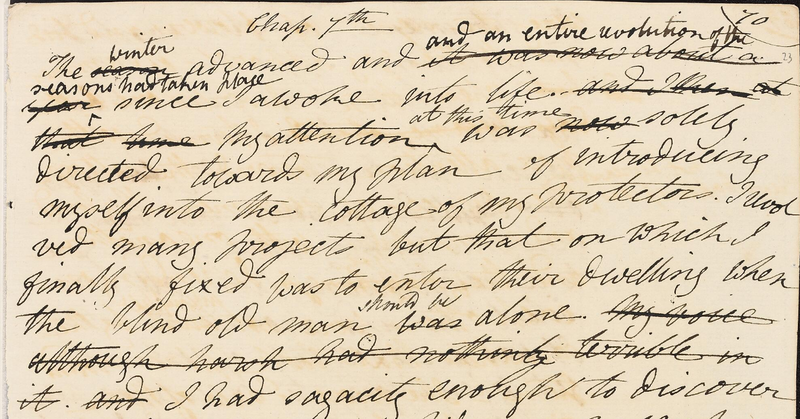 Following the lead of the Shelley-Godwin Archive, we’ve created a manifest which reorders the Frankenstein Draft pages into the linear sequence of the novel. This can be viewed in a Mirador instance here – though note that the extant Draft is incomplete! The manifest itself lives here, and can be used with any other IIIF-compliant API. IIIF Manifests are in a standardised JSON format. If you’d like to use Mirador to view Digital.Bodleian images, you can use the link in the sidebar (the stylised ‘M’) when viewing any image or item. To add further images alongside an item in Mirador, select ‘Change Layout’ from the top menu and choose how many items you’d like to view together, and the layout you’d like to view then in. You can then simply click-and-drag the IIIF icon from any other Digital.Bodleian image set into the Mirador browser tab. You can also open IIIF-compliant image sets from other institutions – you just need the URI of the IIIF Manifest. For instructions on using the Digital Manuscript Toolkit’s Manifest Editor (and other tools), please see the DMT website.